It's been a long time since I played along with the Merry Monday challenge so today I joined in with their color challenge of red, white and gray. 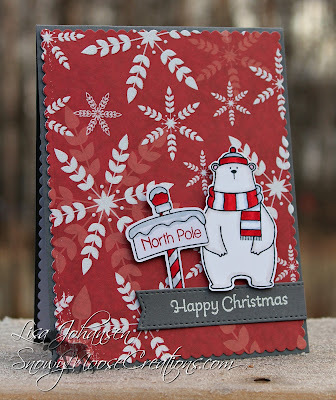 I had the North Pole sign colored and cut already so I stamped the polar bear and colored and cut him out real quick and used dimensionals to pop them up on the card. The sentiment was heat embossed in white on a die cut banner. Just love the cute polar bear , fabulous card Lisa. 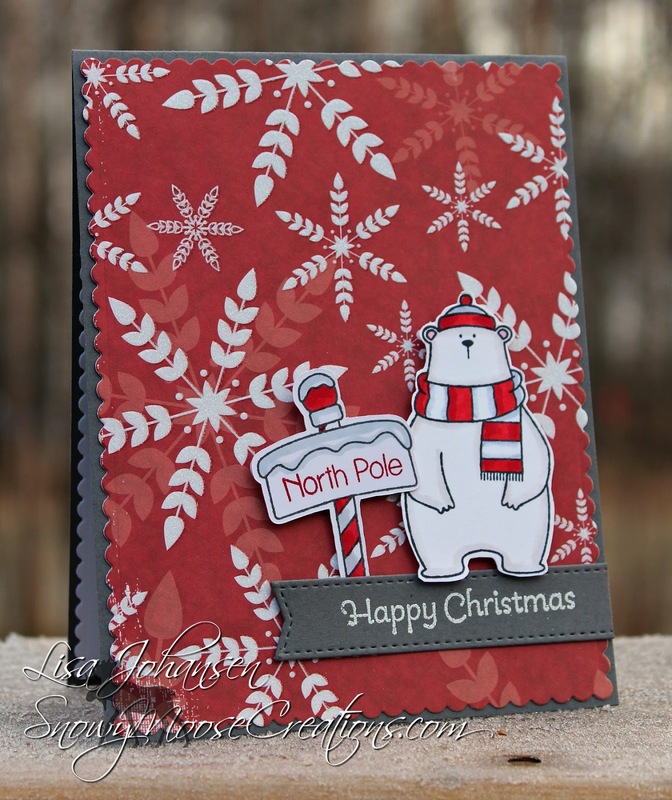 First, the background paper is awesome and I love the polar bear! Avery adorable card! Oh, I love this card! The bear is adorable and I love the paper! Such a cute card! A fun bear with a great background! 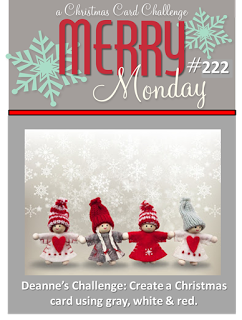 The more I see the great Merry Monday cards from this theme I am bummed I didn't get to it.